Ald. Harry Osterman never was charged nor disciplined in City Hall hiring scandal but played a key role in putting politics first in employment decisions in Chicago’s Department of Streets and Sanitation, a city official told a federal court monitor, according to records obtained by the Chicago Sun-Times. For much of Mayor Richard M. Daley’s record reign, City Hall operated an illegal hiring scheme, skewing test results so political supporters of the mayor and his allies got jobs and promotions. Federal prosecutors proved that, with some of Daley’s top aides going to prison, including patronage boss Robert Sorich and Streets and Sanitation Commissioner Al Sanchez. Others faced disciplinary action. Ald. 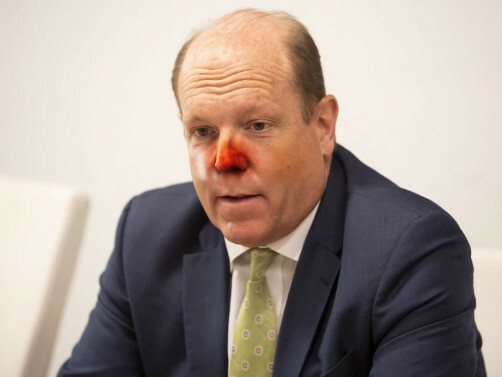 Harry Osterman never was charged in the scandal, nor was he disciplined, but he played a key role in putting politics first in employment decisions at Streets and Sanitation, a city official told a federal court monitor, according to records obtained by the Chicago Sun-Times. Osterman’s role was detailed by William M. Mahon — now a $116,000-a-year Streets and San deputy commissioner in Mayor Rahm Emanuel’s administration who in 1997 and 1998 was “personnel liaison” for the city agency under Osterman, then the personnel director. Mahon was interviewed Dec. 4, 2012, by a monitor appointed by a federal judge to help clean up city hiring. According to the newly obtained records, Mahon described how the names of favored job applicants passed from the mayor’s office to those doing the hiring. “So did you ever receive names from Harry Osterman?” Mahon was asked. “And would he provide you names of individuals who were preferred candidates?” he was asked. Mahon told the monitor he gave those names to the people responsible for interviewing job candidates and that these preferred candidates were then “scored higher than other individuals” and thus more likely to be hired. “When you would inform the other interview panelists of the preferred names from Harry Osterman, what would you tell them?” the federal monitor asked Mahon. “I would say here is three candidates that downtown is interested in, and they would conduct interviews,” according to Mahon. Mahon’s first job at City Hall, in 1989, was working for Osterman’s late mother, former Daley aide Kathy Osterman, who ran the Mayor’s Office of Special Events. Six years later, Mahon transferred to the Department of Streets and Sanitation, which handles garbage pickup and snow plowing in Chicago and is one of the city’s biggest agencies. He worked in Streets and San’s Bureau of Traffic Services “under the personnel liaison” and in 1997 became the office’s personnel liaison, reporting to Harry Osterman. At the end of 1998, Mahon got a promotion within the department, no longer reporting to Osterman. Osterman left the city payroll and took office in 2000 as the state representative for a North Side district that includes Edgewater. He served in the Legislature until 2011, when he was elected alderman, and he’s on the Feb. 26 city ballot, seeking re-election. Osterman, 51, who on his website describes himself as “a progressive, independent voice committed to serving his community,” declined Sun-Times reporters’ requests to speak with him. Nor would he say whether he was interviewed by federal authorities who prosecuted his former colleagues. Instead, the alderman responded with a written statement, saying: “In over 30 years of public service I have never been accused by any authority; city, state, or federal; for any wrongdoing of any kind, much less any criminal behavior. I have tried, in every position I have been honored to hold as a public servant, to serve the interests of citizens to the best of my ability. Noelle Brennan, the attorney appointed by a judge as monitor to enforce anti-patronage court orders, took steps to punish city employees who were identified as having roles in the political hiring schemes but not charged with any crime, among them Mahon. Mahon’s attorney Thomas Breen wouldn’t comment, other than noting the hiring scandal occurred years ago. As a result of Brennan’s investigation, Mahon got suspended from his job for 45 days and was barred from being involved in hiring decisions. Mahon grew up in Bridgeport, where his family was neighbors with the late Mayor Richard J. Daley. He started working at City Hall after the younger Mayor Daley was first elected to that office in 1989. In 2006, City Hall’s inspector general’s office found that Mahon had “repeatedly engaged in personal activities” while on the clock at City Hall — including attending a White Sox game. The inspector general recommended that Mahon be fired. Instead, the Daley administration handed him a 29-day suspension. The City of Chicago has always been proud of its flagship moneymaker, The Department of Water Management. The building of the Chicago Water Filtration Water Plants is a modern marvel. Built in the 40’s the South Water Filtration plant was successfully providing water to Chicago and providing political jobs to the Mayor’s friends, family, and supporters. A couple decades later The Jardine Water Purification Plant come online and became the jewel of the Chicago Water Department. The Jardine Water Plant was a wonderful building and a mechanical miracle that was the pride of Illinois. The Chicago Water System provides water to millions and had a reputation of some of the best tasting water in the world. This reputation was well deserved due to high quality hires and a successful team approach to problems. After a series of scandals, the department was renamed the “Department of Water Management. When the Daley family-controlled Chicago, they started making Water Department the dumping ground for unqualified family and friends. These political hacks were unable to run the department and they burdened the taxpayers with consultants, private contractors, and the direct and indirect payroll ballooned. Greedy Commissioners, unethical union goons, private contractors, Alderman’s kids littered the department and discontent started to escalate. Many of the workers at the bottom saw the opportunities to get ahead expire, the working environment decline, and discontent rise. The Bosses were in many case two-bit hustlers, and many were attempting to wheel and deal, skimp and scam. The worse the thefts, the worse the bosses mistreated workers, resulting in decreases the job satisfaction and personal pride. As more and more management were hired, the worse things became. It quickly because a cesspool of thieves and crooks and a workforce harassed and disenchanted. The Mayor’s office started stealing every penny from the Water Department to pay other bills and the situation compounded. Daley and then Rahm Emanuel attempted to cover-up all the negative press by bulling workers that were contacting the press every day. First it was “Hired Truck Scandal, hiring scandal, email scandals, lead in the drinking water, and a host of whistleblowing activities. Many Whistleblowers were tipped off by the Inspector General by faxes to the different department. What a mess. The Unions stayed in the background and always sided with the Daley-Emanuel team. Finally, a disgruntled Commissioner, gave up full access to emails, security cameras, contracts, private phone conversations. Amazing. The situation is now past critical. Hundreds of thousands of dollars in equipment and supplies are missing, and payroll fraud is out of control. Contractors also provide services to Commissioners home and summer homes. Supplies are missing and the Jardine plant is tossing out more and more employees to satellite offices. The Department has denied workers compensation payment to non-clouted workers putting off the needed medical care, leaving seral employees bedridden. The actions by the Daley-Emanuel bleeding the Department of Water Management blind, is now long past the cross roads. There is approximately over $100,000,000.00 in long over due emergency repairs. The water filtration plants are sending millions of gallons of tainted water to the public. Every time it rains, snow melts, wind blows, the untreated water full of pollution, bird waste, tar, roofing compounds enter the Chicago drinking water supply. Every time it rains, hundreds of thousands of gallons of water rains on equipment, controls, and filter beds. 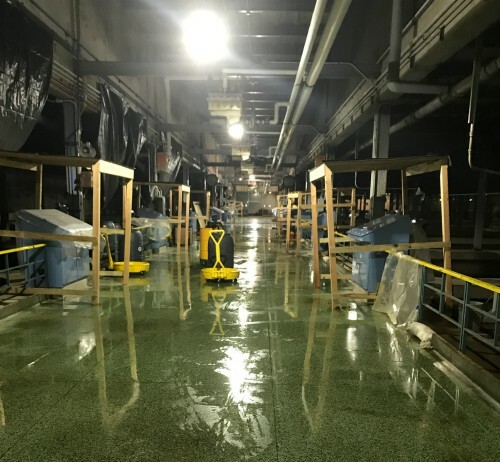 According to one source that wishes to remain nameless, the Daley family is involved in a deal to sell the Chicago Jardine and Sawyer Water Filtration Plants. By letting the plants fall apart, they can lower the price and make the privatization easier for a Parking Meter type takeover. J.B. Pritzker has not enforced the laws to protect the Chicago drinking supply. Something must be done now. In 2016, Alderman Edward Burke pushed through the council and ordinance to rename the South Plant after Eugene Sawyer. Mayor Rahm Emanuel cut the ribbon. You think these bums would have had enough class to fix the plant first. No excuse for the premeditated destruction of Chicago. Mayor Rahm Emanuel has again directly interfered with promotions at the Chicago Department of Water Management. Going over the bald head of Randy Connor, the Commissioner, Rahm Emanuel ordered John Pope, the former Alderman that was voted out, to take a real job after hiding at the Department of Water Management making $125,000.00 per year to sit around and take orders from the entire crew that was just fired due to the Paul Hansen racist emails that rocked the Water Department. John Pope might need to brush up on safety laws and rules, workers compensation rules, and try to control the personnel department and the Committee on Finance. John knows nothing about safety, trench safety, crushing injuries, medical reports. According to my sources in the Inspector General’s Office, this is another perfect example of Rahm Emanuel breaking his promise to the Federal Judge when the Shakman Accord was finally over. According to Frank Coconate, a former Safety Specialist with the Department of Water Management, a powerful boss that ran the Safety Department is completely irreplaceable. The gentleman that ran the Safety Division was well respected in the street, workers were very cooperative, and the Safety Department numbers were getting in line with the outside contractors, or better. It was an amazing transformation at the Water Department to hire a competent leader. The former leader of the Department was Edward Lefevour and according to the Commissioner’s Office he left suddenly. Ralph Chiczewski, the commissioner of safety was completely unable to handle the position. 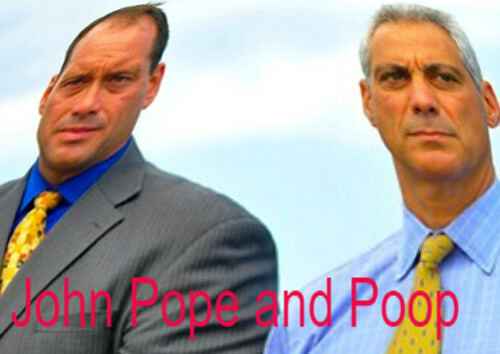 Now the taxpayers are going to pay Ralph Chiczewski and John Pope over $250,000.00 , plus benefits and water department cars to take home to do the last guys job. These two clowns supervise three employees. WTF. When I asked my connection at Commissioner Connor’s office what they are doing, they stated Ralph Chiczewski can not do the job because he steps into the Jardine Plant late every day. Ralph is collecting a nice juicy police pension and hides Rahm Emanuel’s private contractors from prying eyes. In another reputed scam, Julie Hernandez-Tomlin had private security work done at her home and the contractor does a massive amount of work at the Jardine Plant. Photos were sent to law enforcement. Julie did not pay a penny for her security upgrades. Somehow, the taxpayers are going to pay for the parts and labor, with an additional bill made to the Jardine Plant. Remember, Julie reputedly used Courtesy Electric for her needs. Special thanks to Rahm Emanuel for promoting his friends to jobs they are not capable of doing.